This book is a wholly life affirming and positive account of how spiritual evolution is the domain of all of us, whether we realize and accept it or not. It is very practical and down to earth. This book is a wholly life affirming and positive account of how spiritual evolution is the domain of all of us, whether we realize and accept it or not. It is very practical and down to earth. It explains how the great spiritual traditions of the world agree to a surprisingly wide extent as to what, in essence, a human being is comprised, how the truth of really and truly what we are may be realized, and under what circumstances true and lasting happiness can be availed. 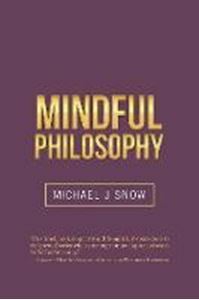 The book shows how what is now known as mindfulness is in truth part of the essential make up of us all and how it comprises something of the utmost value if it is perceived as a path not just to therapeutic well-being but to spiritual realization. The book outlines just how accessible this subject is because it is essentially practical. It uses examples from across the globe and down the ages from many traditions, cultures, and religions but does so in a manner free of dogma and with a light touch. The reader is encouraged to investigate and given various exercises and ideas to use. One is left with the feeling that the outcome and destiny of all of us is actually blissful and full of love and well-being, and that is entirely within reach of all of us if we are prepared to approach this vast subject with an open mind and an open heart.